Find out what’s new this season from Sur La Table and KitchenAid®, including a FREE online cooking class! 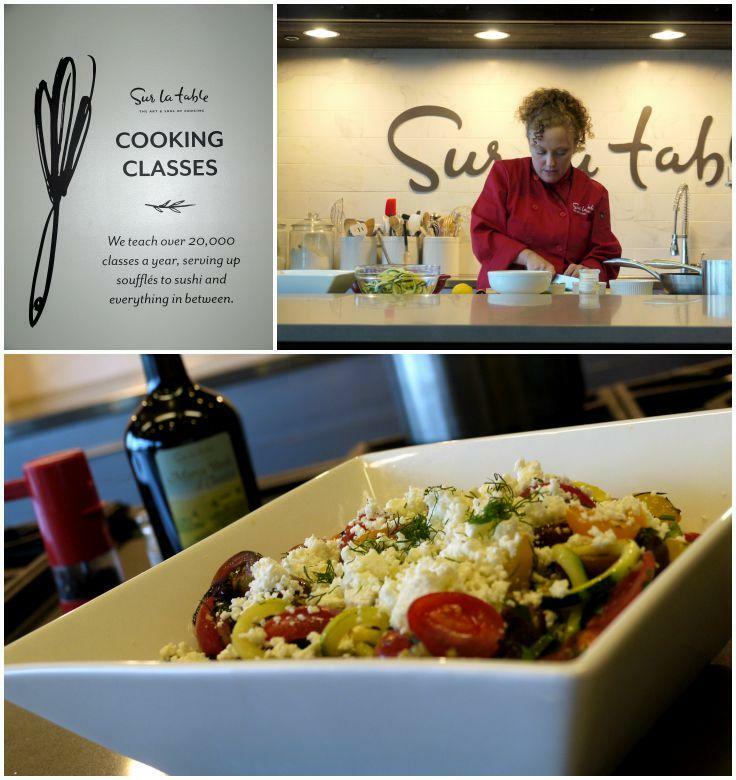 So, did you know that Sur La Table has a culinary education program? I’m not just talking about in-house “cooking classes,” but a full-on culinary education program. Cooking With Spices: Techniques for Big Flavor – Spice up your life and your seasoning techniques with Sur La Table Resident Chef Angie Lee. Secrets to Cooking Fish: Eight Essential Techniques – Learn to confidently cook fresh, flavorful fish! Sur La Table’s senior resident chef, Joel Gamoran, shares expert tips for sautéing, roasting, grilling and more. FREE CLASS!! Cooking Mistakes: What Can Go Wrong and How To Make it Right – Fix your most common cooking mistakes with guidance from Sur La Table’s senior resident chef, Joel Gamoran! 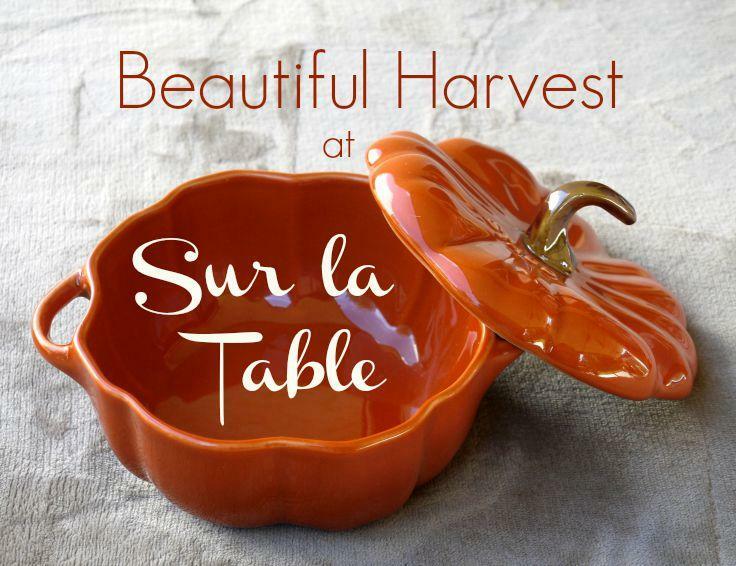 In addition to learning about their culinary education program, we got a sneak peek of the upcoming holiday line at Sur La Table, plus a couple very cool product demos. Unfortunately, the first of the product demos is going to cost me, because I’m getting one. 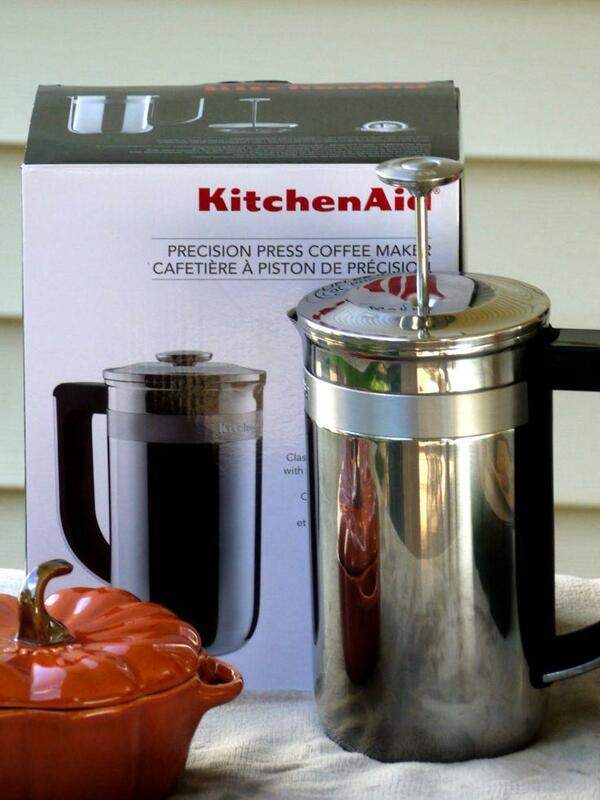 We also got a demo of KitchenAid®’s new Precision Press Coffee Maker. With both an integrated timer and an accurate scale, this battery-powered French press gives you precise control over every part of the brewing process. 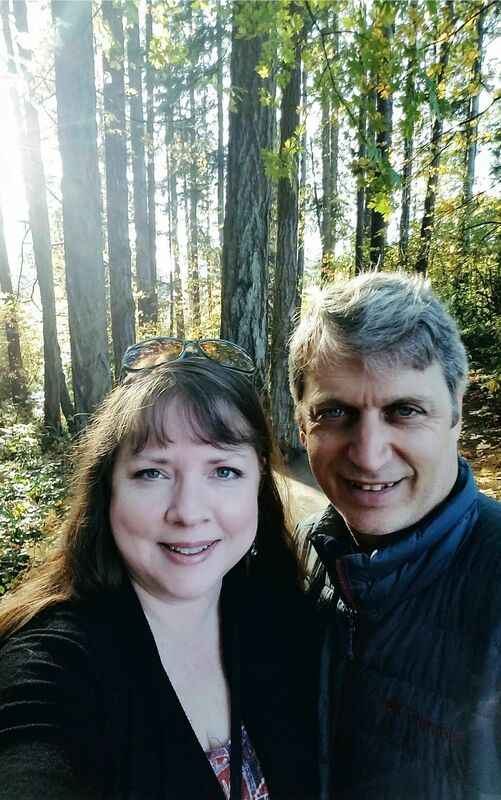 When I called home later that night to tell Mr. B about our new coffee maker, I could literally hear him doing his happy-dance over the phone! 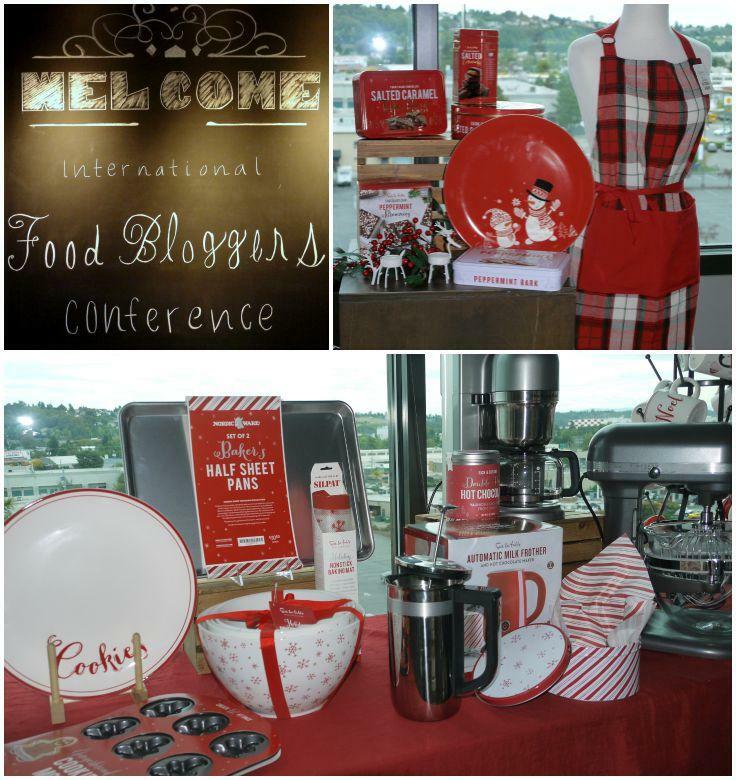 A free KitchenAid® Precision Press Coffee Maker would have been a wonderful gift all by itself, but Sur La Table has made a name for itself among past IFBC attendees for its generous blogger gift bags, and this year they definitely did not disappoint! 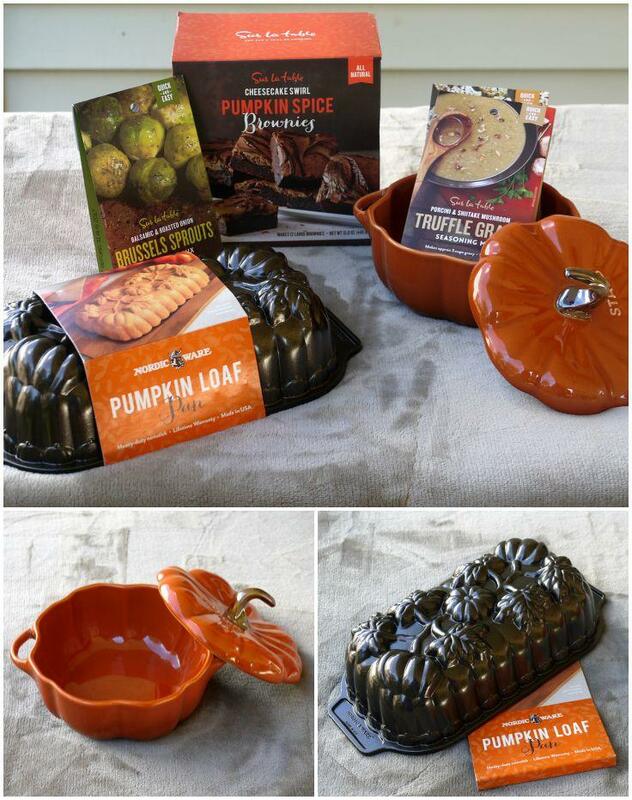 In addition to the aforementioned awesome coffee maker, seasonal swag dominated our gift bags, including some of my personal favorites: a beautiful Staub Pumpkin Cocotte (a fancy name for a oven-safe casserole/soup bowl) and a NordicWare Pumpkin loaf pan. Oh, and brownies – Cheesecake Swirl Pumpkin Spice Brownies. Oh.My.Goodness. You got an orange cocotte? I got the white one. It was a fun excursion and the goodies we got were awesome. I love that approach to cooking education (partly because I’m notorious for not following recipes to the letter, haha!). 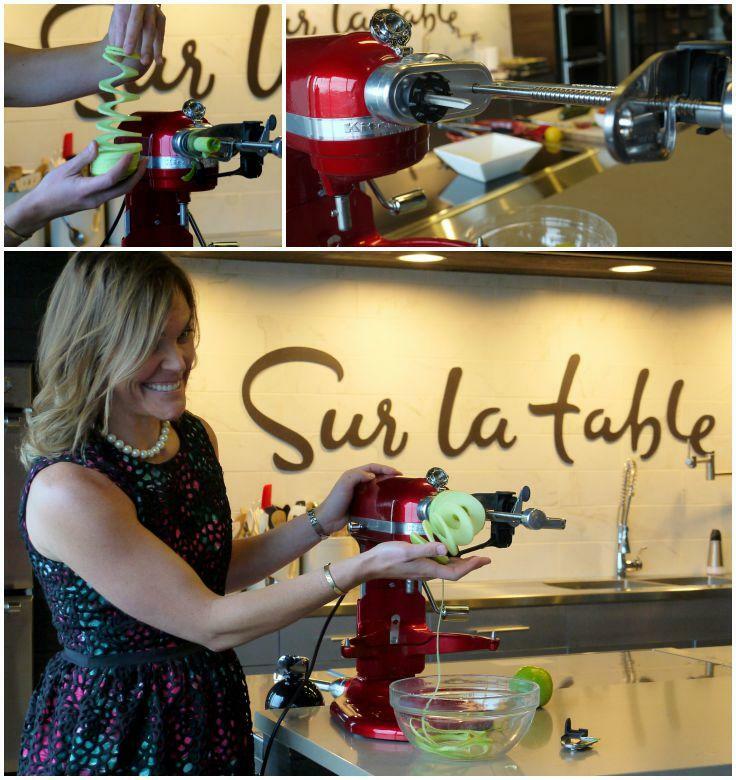 Also, that spiralizer looks SO FUN! What a great idea for a class, ” Cooking Mistakes: What Can Go Wrong and How To Make it Right”. I admit sometimes I even do it with leftovers – I might think the dish is just ok in the restaurant, and then I take it home to try to fix it! Love the quote from Julia Child. And I want that pumpkin loaf pan. I’ve done what Pech does with leftovers too! Nice swag  I need to spend more time at Sur La Table, and check out their local cooking classes. They have some great ones in the Pearl District store! When I took the time to look over the class schedule, I was really impressed with the variety of offerings. I have always wondered about the classes that they offer and what they would be like, I really appreciate your post.